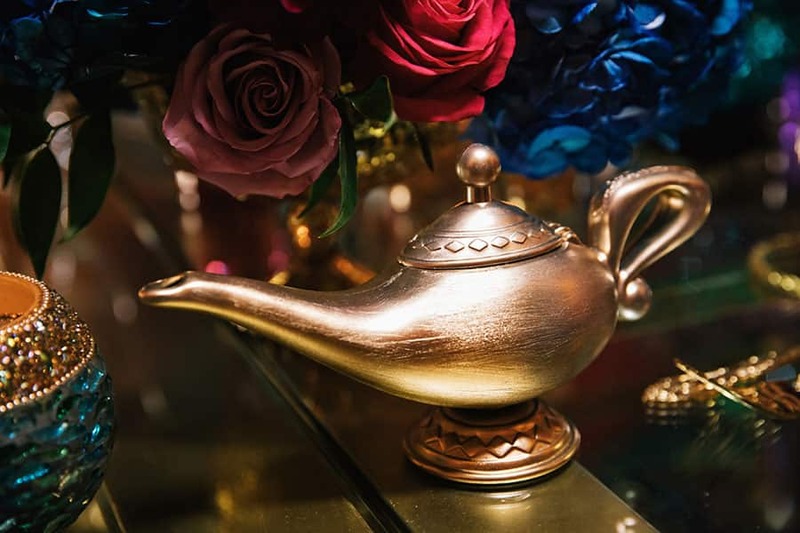 Let me share this whole new world with you! 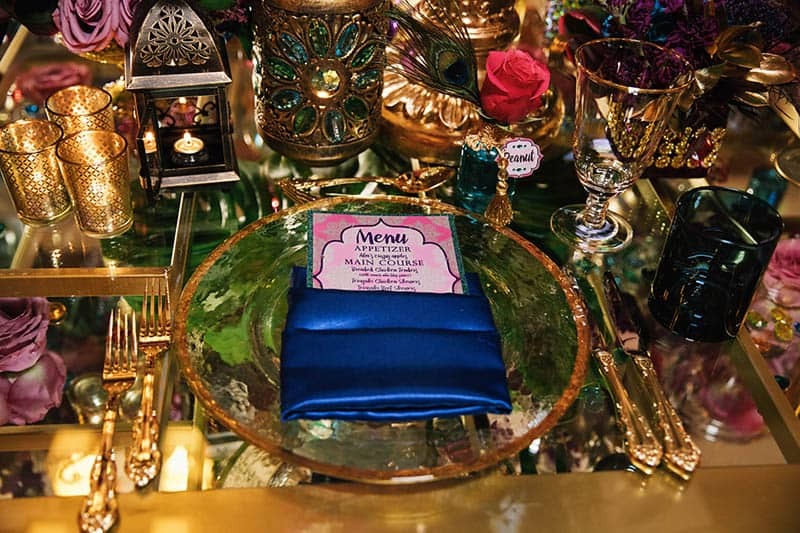 This week's inspiration comes from the elegant and outspoken Princess Jasmine from the Disney Classic - Aladdin. 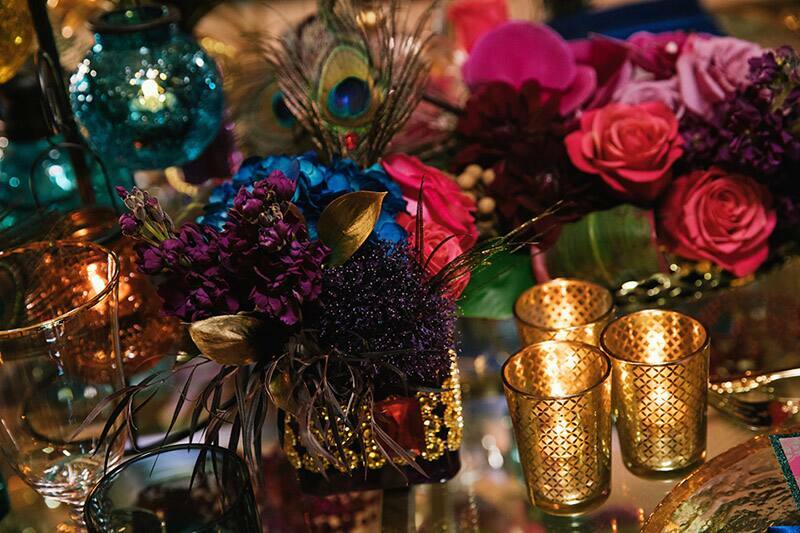 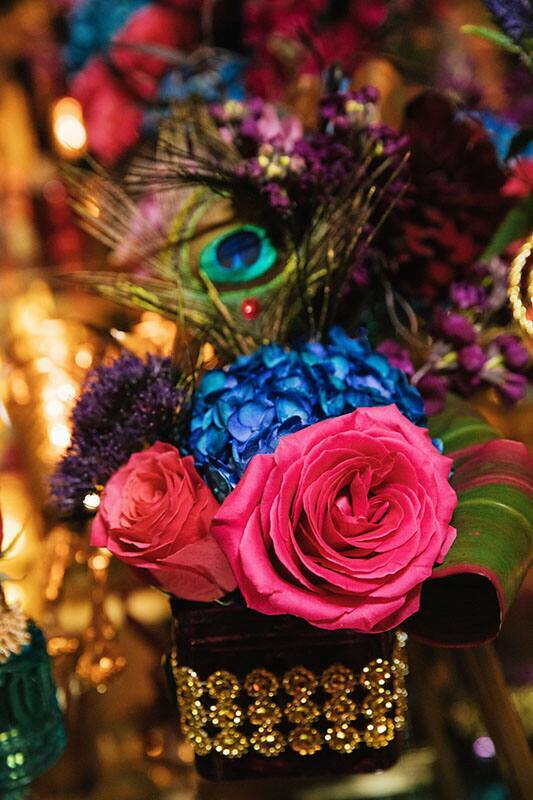 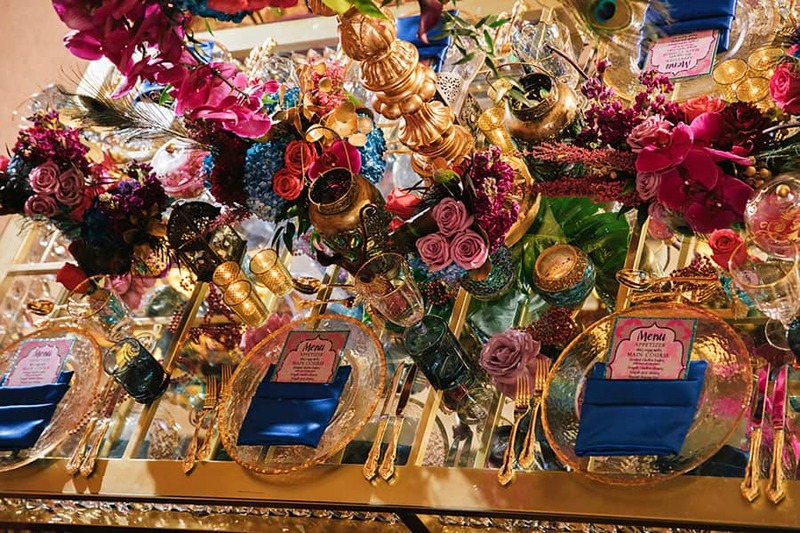 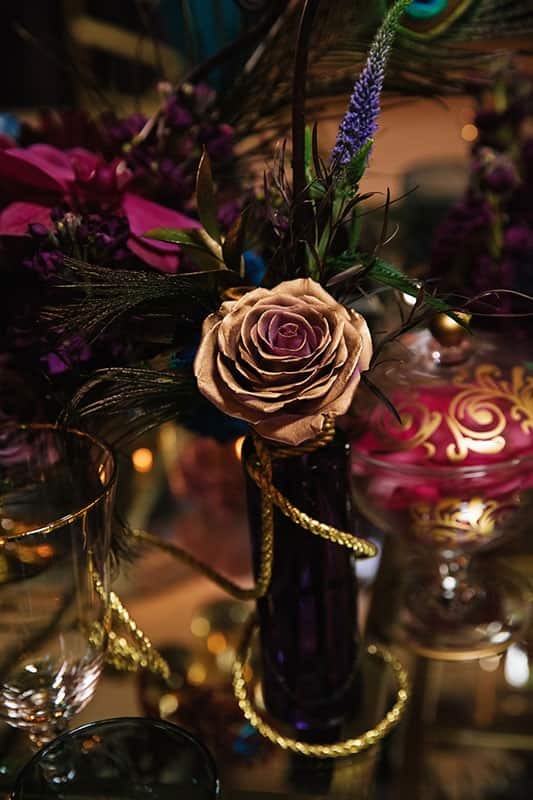 The tablescape is alive with jewel tones and bright, bold colors. 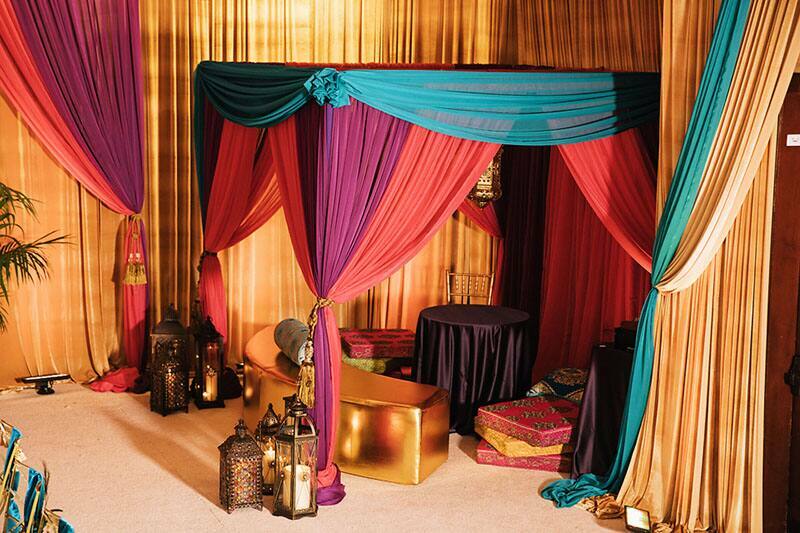 It is reminiscent of the palace that Jasmine grew up in and the fictional city of Agrabah, where the film takes place. 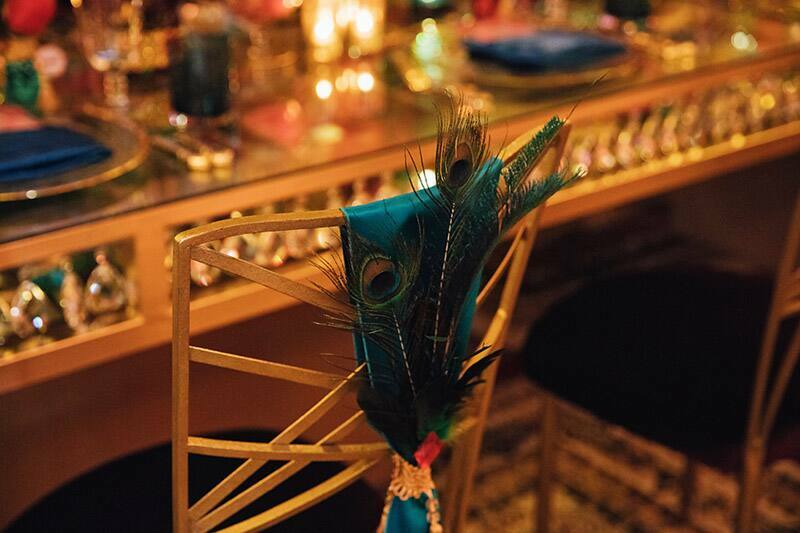 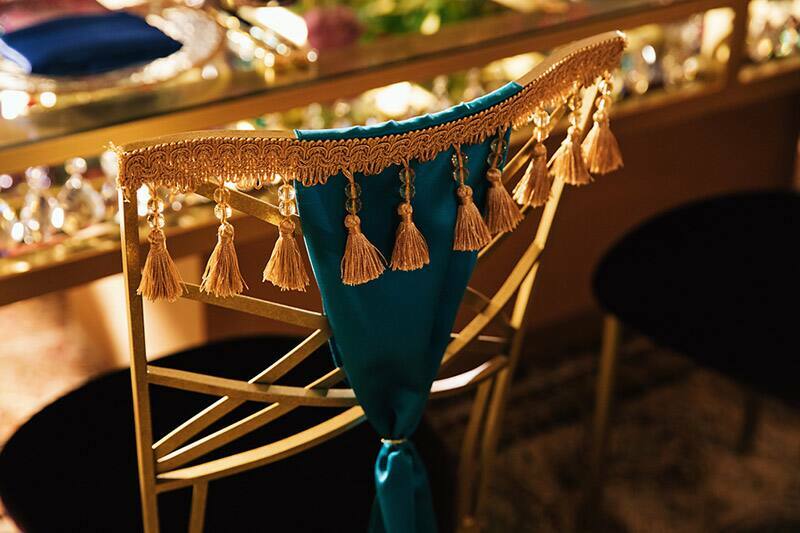 Gold is certainly on display here, and you might even catch a glimpse of a famous lamp on the table. 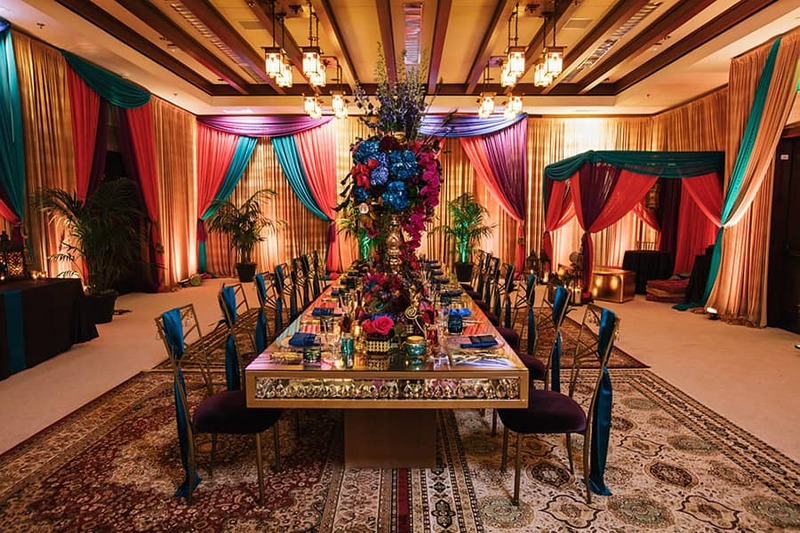 I love the rugs on the floor, which bring in a sense of magic and charm. 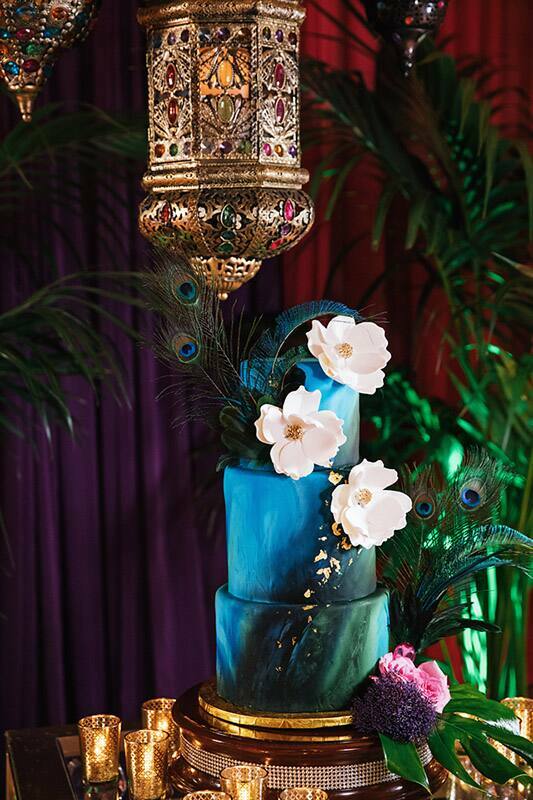 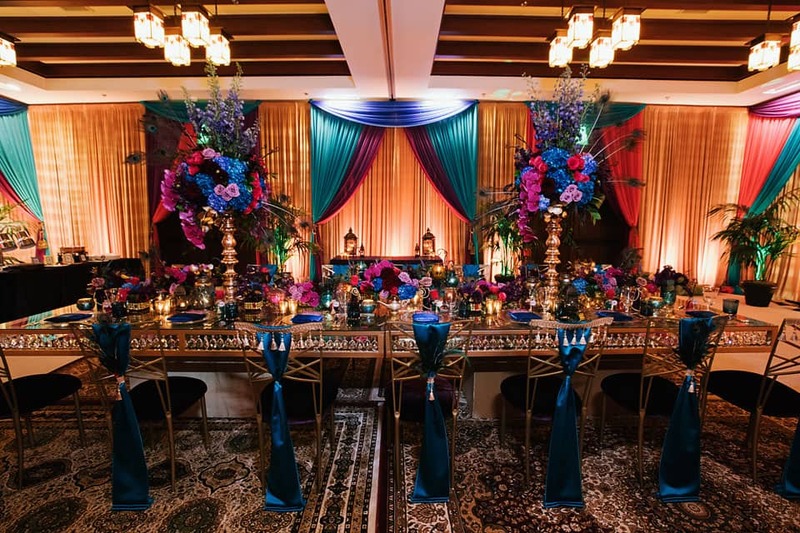 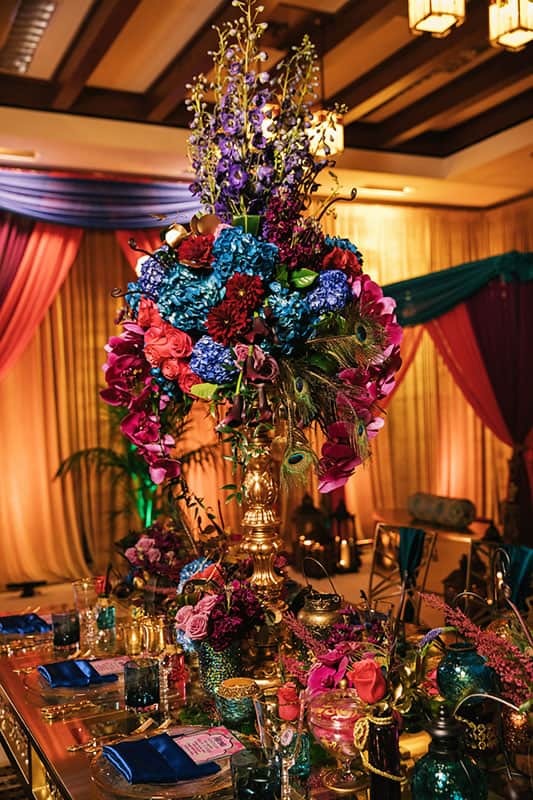 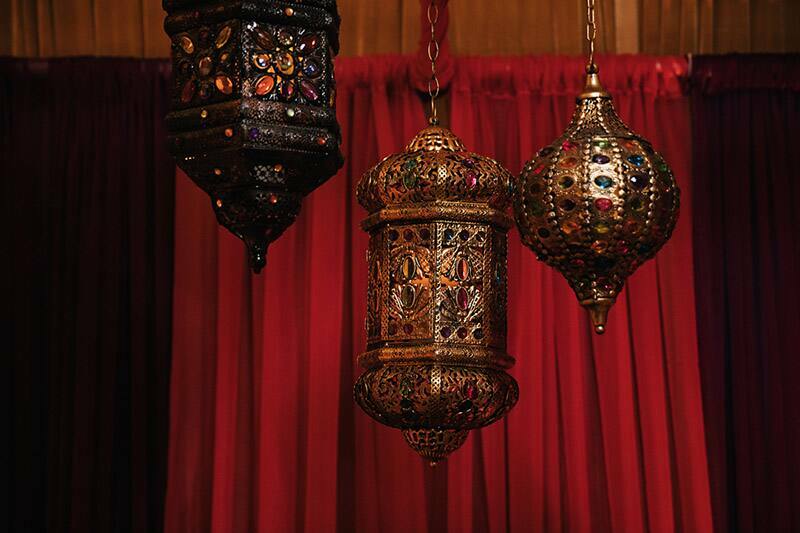 From the lanterns to the pillow seats to that cake, I know a wedding reception inspired by Princess Jasmine would be one of my three wishes!